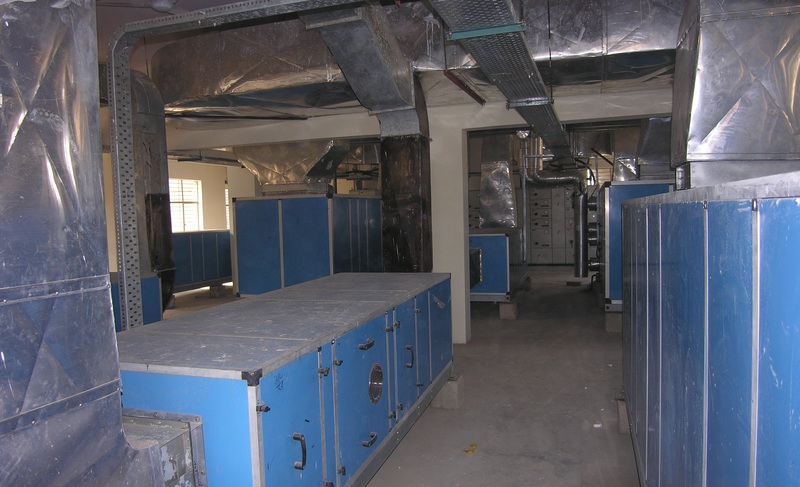 The institute has Heating, Ventilation and Air Conditioning facility installed on the first floor of laboratory block and animal house, to provide thermally controlled environment and indoor air quality HVAC contains total three 30TR and one 90TR air cooled chiller and control valves,6 air handling units integrated to BMS (Building management system), 5 exhaust air units, BMS for plant control (temperature & relative humidity), display (pressure differential) and operations. The liquid thermal decontamination plant treats infectious liquid waste from BSL-2, BSL-3 and challenge area of animal house by heating in a pressurized vessel,at 1210C at a pressure of 1.05Kg/cm2 and retained at that temperature for at least 60 minutes. 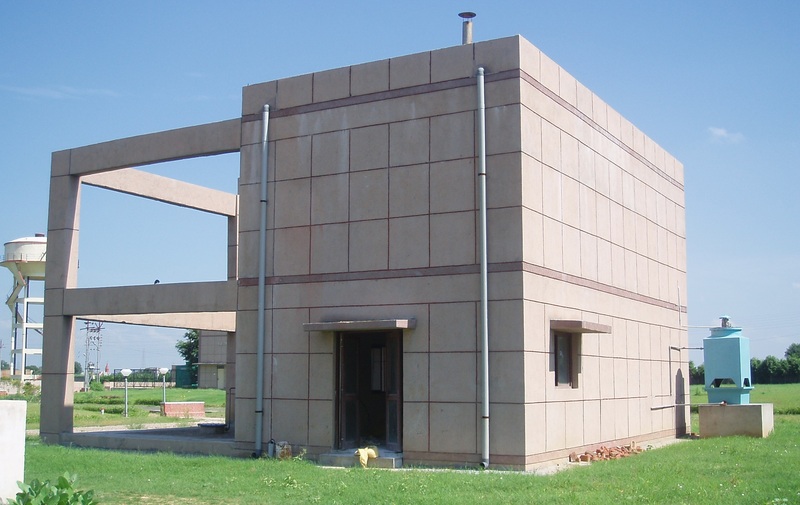 Effluent treatment plant has been established for the treatment of various types of wastes from different units of the Institute such as:- a)	Infectious wastes from laboratories. b)	Wastes from animal sheds on cleaning and washing. c)	Wastes from toilets. d)	Communal wastes from residences. e)	Utility wastes and other miscellaneous wastes. The treated liquid waste water is used for irrigation and for artificial ground water recharge within the complex. All the biomedical waste generated is incinerated, in an incinerator of 100 kg/hr burning capacity, oil fired type complete with all pollution control board norms. 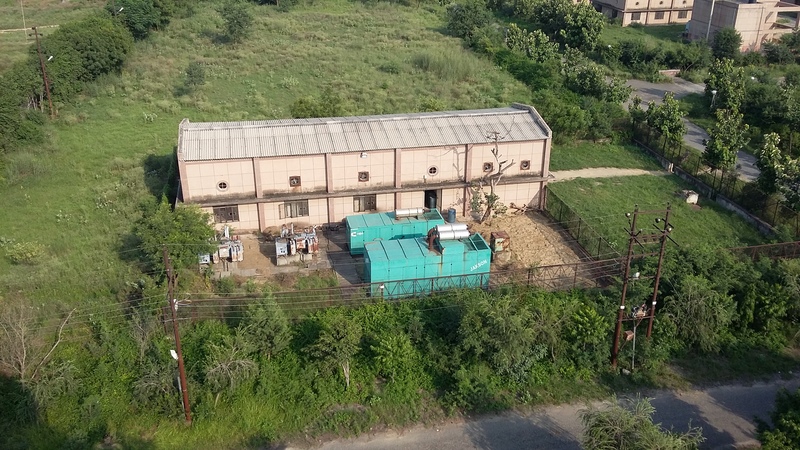 There is a 2x800KVA electric substation present in the institute.It is supported with power backup by 500KVA and 750 KVA DG sets. 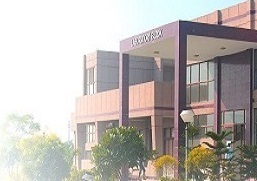 There is fire fighting and fire alarm system in the institute with a separate pump house. Fire alarm panel is installed in the laboratory block. There are smoke detectors and automatic sprinkler system.